The Hiqview Corporation released this year a new camera addition to its IP camera line in the form of the new motorized weatherproof bullet IP camera known as the HIQ-6391. This camera comes equipped with a 10x optical and 4x digital motorized zoom along with an IP66-rated weatherproof housing, allowing it to perform in the harshest of conditions. This camera has also been designed within an all-IP architecture with a 1/2.7″ CMOS sensor, giving you full HD 2MP resolution at 30fps real-time. Like I mentioned earlier, there is a 10x optical zoom lens along with support for video compression of H.264 and MJPEG formats for multiple resolutions of Full HD, SXGA, WXGA, VGA, QVGA, and QCIF. The WDR technology incorporated in this camera is also a huge benefit. Without it, someone standing in front of the sun with a strong backlight would be too dark to identify. The WDR technology uses different exposures for different objects to lower light contrast. As a result, the camera is able to reveal clear features of a person’s face, even with a strong backlight. This security camera also offers the advanced functions of Smart Focus, Auto Focus, and Step Focus, which makes it the perfect, professional choice for outdoor surveillance applications. Smart Focus allows you to draw a square on an image in order to focus on a particular area to bring out clear images. Auto Focus automatically focuses on a moving object or a large object that occupies more than 50% of the area of the image. Step Focus offers you the ability to set up focus manually to nearby or distant areas whenever you need to. A built-in GUI allows these advanced imaging features to be easy, flexible and efficient when fine-tuning the focus of your camera. 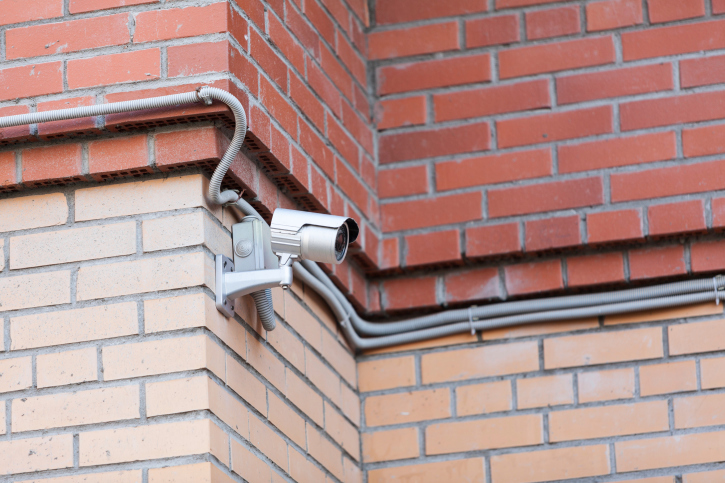 Looking for a Quote on a Security Camera System for your business? CameraSecurityNow has a full range of surveillance systems, including Dome Cameras, Box Cameras, PTZ Cameras, Infrared Cameras and more! Strong DNR technology allows this camera to easily remove image noise in image production, which can be caused by things like power interference, heat or dim light sources. When light goes down, it is hard for standard outdoor cameras to create clear images. The HIQ-6391 utilizes the latest IR technology in order to detect heat emitted from objects within the effective distance of the camera. The built-in IR LEDs are designed for up to 30 meters of light radiation and enable the camera to produce clear images 24/7. Network configuration is quick and easy. The configuration tool offered by Hiqview automatically searches for the connected Hiqview cameras via internet to minimize any problems with network settings. In addition to that, Power over Ethernet (PoE) makes sure that your camera can be powered through the same internet cable, which is an important feature where running additional cables may be difficult. The HIQ-6391 is shipped with the VMS Hiqview software included and allows for online management of as many as 64 IP cameras in a single system. 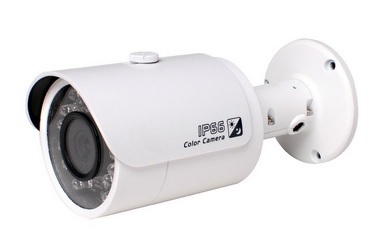 This camera is designed for day and night surveillance and is perfect for areas such as parking lots, entrances, lobbies, retail stores, shops, train stations, stairways, warehouses or even home surveillance.